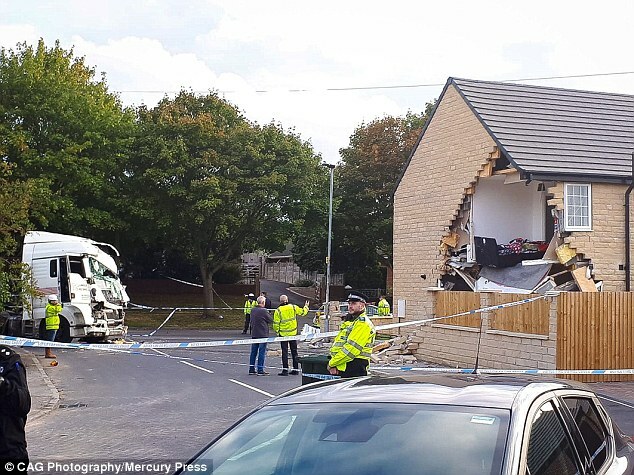 South Yorkshire Police said a white tractor unit was ‘involved in crime’ before it crashed. 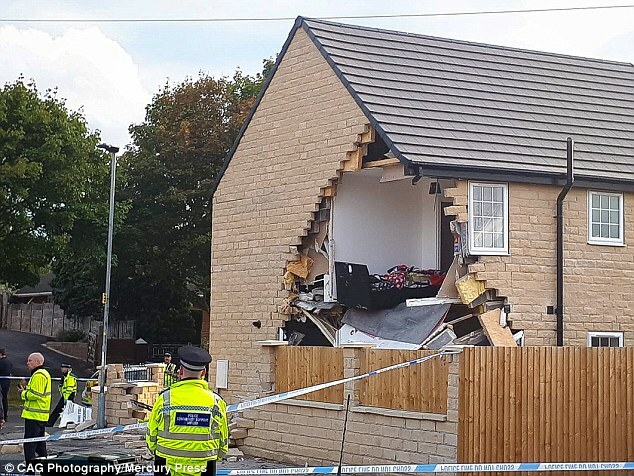 One man, who did not want to be named, said: ‘It’s come and hit two cars and then just crashed right into the house. 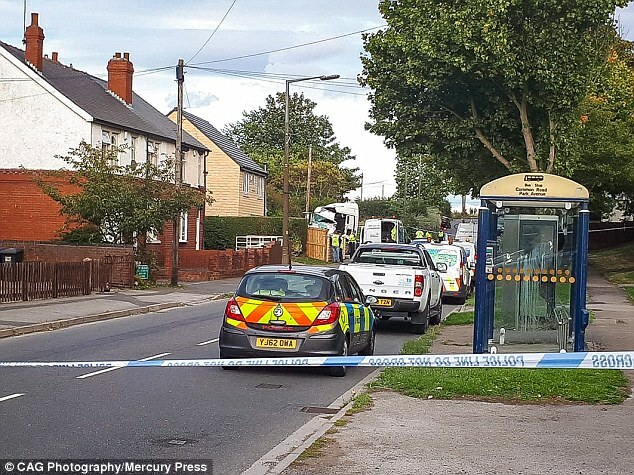 ‘It hit the woman near the cars and it’s just terrible.